Once purchased we will send you a link via email to activate your account. This will also allow you access to your club’s admin section. Then you will move on the actual set up page. 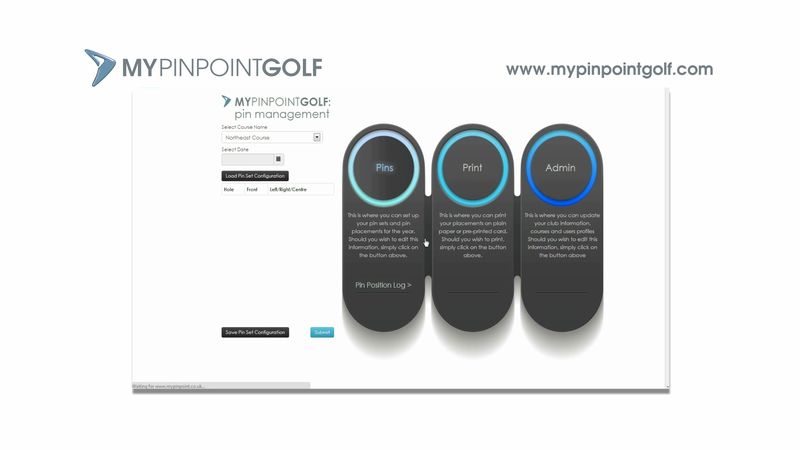 Fill in the questions such as preferred distance units (yards or metres), the number of holes, whether you wish to used colored flags alongside the PinPoint system. This is the stage where you also have the option to add an approval stage where before pin positions are made public the changes need to be approved by a 2nd person. You are given the option of whether you’d wish to display green depth. If you’d like green depth on the App/card then you must enter this detail at this stage – we would suggest that one of your team paces the green (if you’d like green depth) and these are the figures you use. You are then given the choice over print sheets – would you like 4 or 6 to an A4 sheet. You have control over additional information printed on each card such as tournament details or player names etc. The Greenkeeper or whoever is responsible for setting the pins use the App. 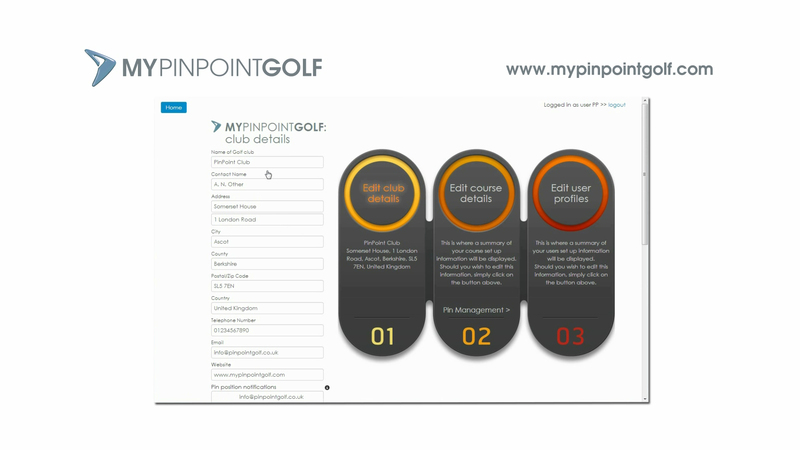 Select the course – this will default to your course on a standard 18 holes – then set the date you wish to cut the holes. Pace the depth of the green and the distance in from the side. Enter the pin position for that hole and record. Once you’ve completed all 18 holes, or as many as you are changing, then click ‘review’ where you will see a summary of the details you have entered. Finally click ‘submit’ to send the new positions ready for the club’s print page where you can login and print/personalise. 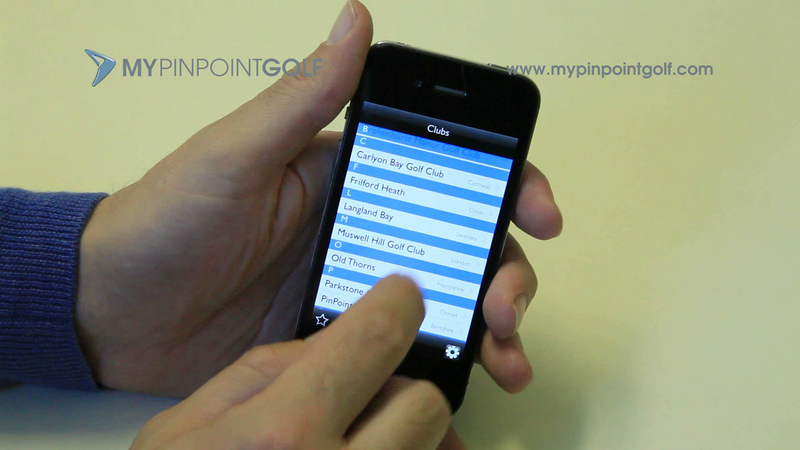 This is also the point when the information is sent to the golfer’s smartphone App. 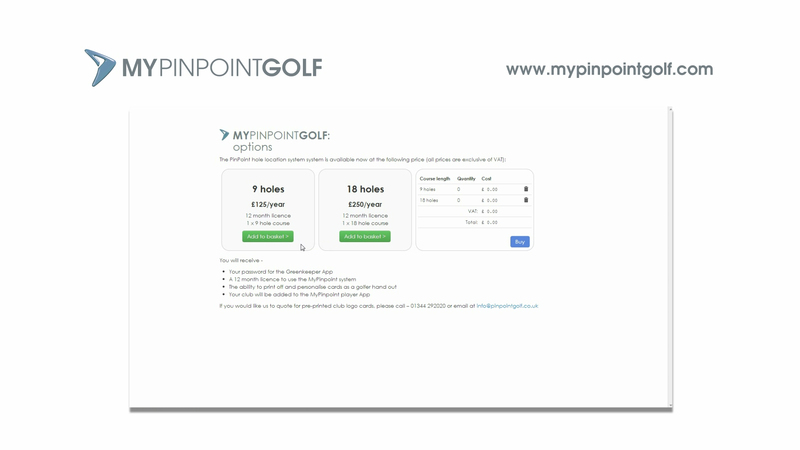 Commonly used pin location sets can be saved as named pin sets on the website and quickly accessed via the App. For whoever is going to print the cards.